Hi there, my name is Izzy. I am settling in well at my foster home, they tell me that I am a very sweet and pretty girl. 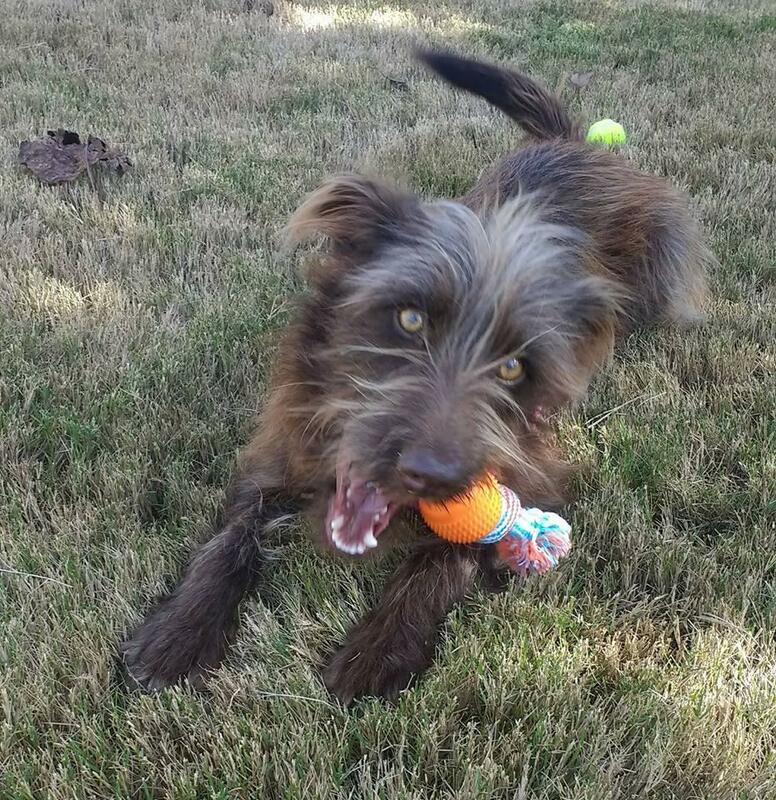 I am a 30 pound scruffy terrier mix with gorgeous light eyes and a blonde mohawk. I am great with dogs, cats and of course people (including kids)! Everyone who meets me tells me how sweet and gorgeous I am. I love to play fetch, play with squeaky toys and snuggle with you (I took a nap cuddled up on my foster mom this morning after we went for a walk around the neighborhood). I am very gentle, so I would do great in a home with kids. I am crate trained, walk well on a leash, have a great appetite and am a very happy dog. What would make me even happier is a forever home of my own!